You rely on your medical professionals to take your health as seriously as you do. More than that, you hope to see improvement through their special training and knowledge. Sadly, that doesn’t always happen, and in some cases, it is the fault of defective drugs that actually make your health get worse instead of better. When this happens, you may need to seek compensation so that the responsible parties are held accountable. After all, you relied on your medications to make you better, not worse. 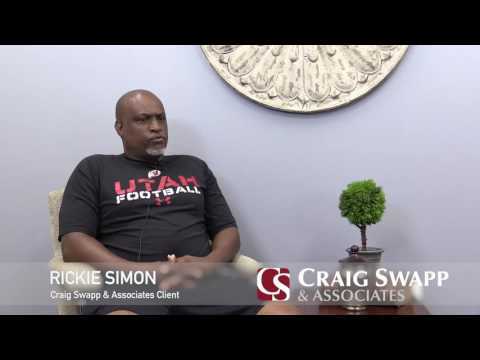 A Boise defective drug lawyer from Craig Swapp & Associates can help you resolve some of these issues, so that you don’t have to pay for someone else’s mistake. Sometimes defective drugs are put on the defective drug list, but they only make it there after people experience adverse effects. This means you should not assume a drug is not defective if it isn’t on the list. It could simply mean that you are one of the first to experience problems related to its use. Defective drugs can be defective for any number of reasons. It may be that the drug itself carries more risks than originally thought. It could also be something simple, like the packaging being contaminated or improper handling resulting in the drug’s quality being compromised. If you suspect that a drug is either defective or causing you harm, it’s important to consult a Boise defective drug lawyer from our firm as soon as possible. Some defective drugs can make an illness or disease worse not just by failing to function as intended, but also by aggravating the underlying health issue itself—or even by creating a new one. In some cases, the manufacturers and healthcare providers are aware of potential issues with drugs but prescribe and sell them anyway. Your Boise defective drug lawyer will investigate and help you determine if someone else’s negligence caused your illness or injury. When it comes to seeking compensation for defective drugs, timing is everything. The drug that hurt you may not be listed as defective yet, and one case alone may not prove it. This is where a qualified Boise defective drug lawyer comes in. With experience in listed and unlisted defective drugs, we can provide valuable skills and knowledge that help prove your case. The lawyers at Craig Swapp and Associates are familiar with battling companies and professionals alike who are negligent and provide unsafe products. We can make sure you get the justice you deserve. For a free consultation regarding a defective drug or other injury, complete the form below or call our office toll free at 1-800-404-9000.